Anyhow, focusing on the socket 423 for a moment. If you closely at one you will probably notice a few very distinct differences (that don't include the number of pins it accepts). In particular, surrounding the P4 are four special holes. The four holes are there for a plastic heatsink retention mechanism which locks into the motherboard. The retention mechanism is used to secure large heatsinks designed especially for the P4 (more on this in a moment). 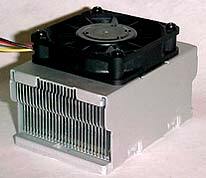 Since the P4 processors produce a significant amount of heat larger masses of metal were necessary to keep things cool. 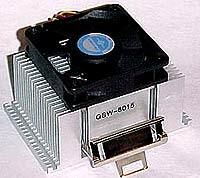 To achieve a low thermal resistance, and to dissipate the significant amounts of heat which is generated, a much larger and heavier class of heatsink was necessary. 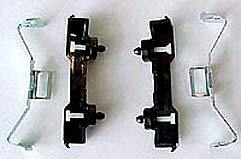 The down side to this is of course large and heavy heatsinks put added strain on the small plastic socket clips traditionally used to hold a heatsink in place. To keep the new class of coolers firmly in place and to lessen the chance of broken socket clips (and thus overheated processors), the heatsink retention mechanism was introduced to take on the brunt of the load. Although the sockets still have their little clips, every P4 heatsink is designed to be mountable by the retention mechanism alone. 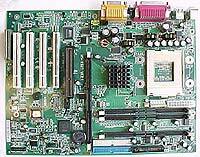 Some AMD motherboards have holes around the socket for the same purpose, but they are not located in the same place as those on Pentium 4 motherboards, so heatsinks that directly use them (Zalman CNPS5000, Swifttech MC462A, for example) must either comply to both standards, or one or the other. A few of the heatsinks manufactured for use on the P4 still come equipped with the metal clips you are familiar with from current heatsinks, but they should all have an extra set of tabs on either side for the heatsink retention mechanism to latch onto. In fact, if you are in doubt about a particular heatsink, just look for those tabs, and check the length of the heatsink. To properly fit into the P4's heatsinks retention mechanism, P4 heatsinks should measure about 90mm. Component No. 3: Socket 423 Heatsink. With the basic components covered it's time to move onto memory. 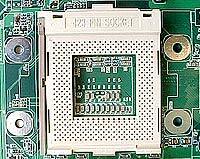 Currently, the chipsets used with the P4 motherboard only support RIMM memory.